Hearne was born in Norwich, Norfolk, in 1908, the son of Richard and Lily May Hearne. Richard senior came from a theatrical family – his mother had been on the stage and he himself was a performing acrobat. Hearne worked on and off for the BBC for thirty years; he became the first performer to be known as a "television star" and also the first to have his own television series. [ citation needed ] The series, with the theme tune "Pop Goes The Weasel", had episodes lasting 25 minutes in which Hearne assumed the character of "Mr Pastry" – an old man with a walrus moustache, dressed in a black suit or raincoat and with a trademark bowler hat. Each week, the bumbling old man would have adventures, partly slapstick, partly comic dance, with two young friends. Jon Pertwee also starred in the show in a variety of roles. 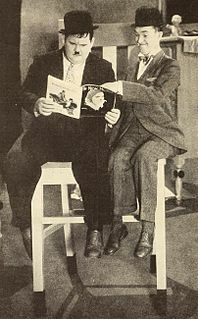 The Mr Pastry character had originated in the 1936 stage show Big Boy in which Hearne had appeared with Fred Emney. A Mr Pastry film was subsequently made but portrayed the lead character as a pathetic figure coming out of prison and totally different from the TV series' bumbling comic. Frederick Arthur Round Emney was an English character actor and comedian. His act first appeared on the US Ed Sullivan Show in 1954, and thereafter Hearne appeared on the show frequently. Buster Keaton was reportedly a fan. Hearne was the subject of This Is Your Life in 1959 when he was surprised by Eamonn Andrews at the BBC Television Theatre. In 1963, Hearne became President of the Lord's Taverners charity and he subsequently raised money for hundreds of hydrotherapy pools. In 1970, he was awarded an OBE for his charitable work. Joseph Frank Keaton, known professionally as Buster Keaton, was an American actor, comedian, film director, producer, screenwriter, and stunt performer. He was best known for his silent films, in which his trademark was physical comedy with a consistently stoic, deadpan expression which earned him the nickname "The Great Stone Face". Critic Roger Ebert wrote of Keaton's "extraordinary period from 1920 to 1929" when he "worked without interruption" on a series of films that make him "the greatest actor-director in the history of the movies". His career declined afterward with a loss of artistic independence when he was hired by Metro-Goldwyn-Mayer, his wife divorced him, and he descended into alcoholism. He recovered in the 1940s, remarried, and revived his career to a degree as an honored comic performer for the rest of his life, earning an Academy Honorary Award. John Devon Roland Pertwee, known professionally as Jon Pertwee, was an English actor, comedian, entertainer and cabaret performer. Barry Leopold Letts was an English actor, television director, writer and producer. Bearsted is a village and civil parish with railway station in mid-Kent, England, two miles (3.2 km) east of Maidstone town centre. Platt, or St. Mary's Platt is a village in the local government district of Tonbridge and Malling in Kent, England. The village contains a church which was built in 1843 and which stands on a hill overlooking the village centre. The architects were Whichcord and Walker of Maidstone. Borough Green is an unclassified English urban community and a civil parish in the Tonbridge and Malling district of Kent. The central area is situated on the A25 road between Maidstone and Sevenoaks, with the M26 motorway running through it within a mile of the centre. Bernard Joseph Cribbins, OBE is an English character actor, comedy actor, voice-over artist and musical comedian with a career spanning over seventy years. He came to prominence in films of the 1960s, and has been in work consistently since his professional debut in the mid-1950s. Worzel Gummidge is a walking, talking scarecrow character in British children's fiction who originally appeared in a series of books by the English novelist Barbara Euphan Todd. It was the first story book published by Puffin Books. Arthur Lowe was an English actor. His acting career spanned nearly forty years, including starring roles in numerous theatre and television productions. He played Captain Mainwaring in the British sitcom Dad's Army from 1968 until 1977, was nominated for seven BAFTAs and became one of the most recognised faces on television. 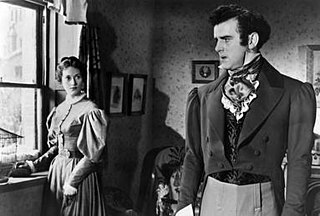 George Edward Cole, OBE was an English actor whose career spanned more than 70 years. He was best known for playing Arthur Daley in the long-running ITV comedy-drama show Minder and Flash Harry in the early St Trinian's films. Martin Jarvis, OBE is an English actor and voice actor. After a varied career in film and television, he has become particularly noted for his voice acting for radio and audiobooks. Clement Graham Crowden was a Scottish actor. He was best known for his many appearances in television comedy dramas and films, often playing eccentric "offbeat" scientist, teacher and doctor characters. Jean Lyndsey Torren Marsh, is an English actress and writer. 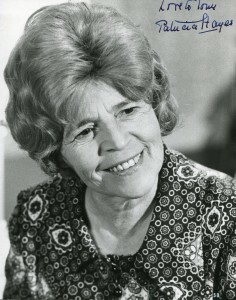 She co-created and starred in the ITV series Upstairs, Downstairs (1971–75), for which she won the 1975 Emmy Award for Outstanding Lead Actress in a Drama Series for her performance as Rose Buck. She later reprised the role in the BBC's revival of the series (2010–12). Marsh also co-created the television series The House of Eliott in 1991. Her film appearances include Cleopatra (1963), Frenzy (1972), The Changeling (1980), Return to Oz (1985), Willow (1988) and Monarch (2000). John Talfryn Thomas was a British character actor, best known for supporting roles on television in the 1970s, including those of Private Cheeseman in Dad's Army (1973–1974) and Tom Price in Survivors (1975), while Thomas also appeared with Jon Pertwee in two Doctor Who serials. William Maurice Denham, OBE was an English character actor, who appeared in over 100 television programmes and films in his long career. Catherine Ann "Katy" Manning is an English actress best known for her part as the companion Jo Grant in the BBC science fiction television series Doctor Who. She has also made many theatre appearances, and is now an Australian citizen. In 2009 Manning moved back to the UK to pursue new acting work and currently lives in London. Patricia Lawlor Hayes was an English BAFTA Television Award-winning character actress. 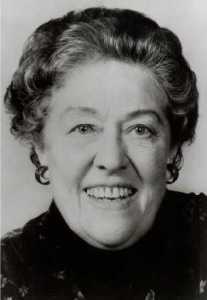 Margaret Rose Mount OBE was an English actress. As a child she found acting an escape from an unhappy home life. After playing in amateur productions, she was taken on by a repertory company and spent nine years in various British towns, learning her craft. In 1955 she got her big break in the comic play Sailor Beware! : she created the leading role in a repertory production and, though unknown to London audiences, was given the part when the play was presented in the West End. She became known for playing domineering middle-aged women in plays, films and television shows. The Paradise of Death is a 5-part BBC radio drama, based on the long-running British science fiction television series Doctor Who, and starring Jon Pertwee as the Doctor. The Time of His Life is a 1955 British comedy film directed by Leslie S. Hiscott and starring Richard Hearne, Ellen Pollock, Richard Wattis and Robert Moreton. The screenplay concerns a man who is released from prison and goes to live with his socialite daughter. ↑ "The Time of His Life - Film from RadioTimes". ↑ "BBC - Archive - The Changing Face of Doctor Who - Nearly Who". ↑ "The Good Old Days[18/03/76] (1976)". ↑ "The Television Annual for 1952", ed. by Kenneth Baily, Odhams Press, p. 94.